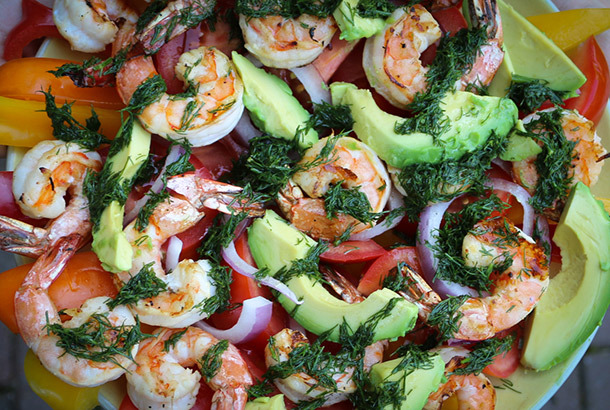 Grilled Shrimp Salad with Fresh Dill Dressing is a big hit at our picnics and barbecues. It is super easy to make. Shrimp takes less time to marinate and less time to cook than most any other meat, chicken or fish. 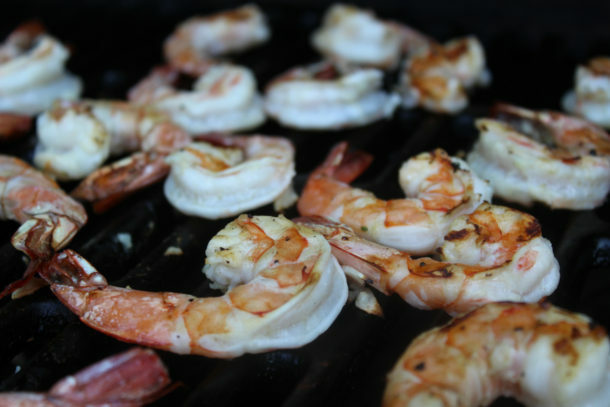 Many people don’t marinate shrimp at all, choosing to just brush on flavorings during the grilling process, but marinating does give the shrimp extra zestiness. Give yourself at least a half an hour of marinating time. 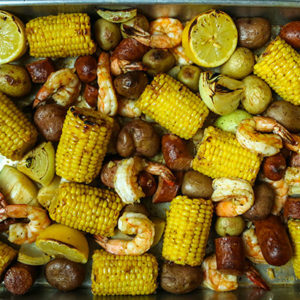 Marinate the shrimp while you are preparing the rest of the food for your grilling adventure. Once the shrimp is marinated, make the dressing. You may or may not decide to use all of the dressing for the grilled shrimp salad. If you have extra, I would recommend using it for other salads or add it to soups or stews. 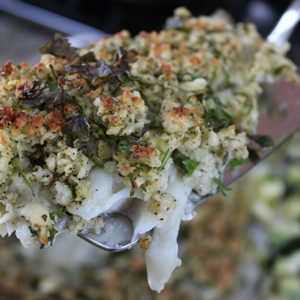 I also would use a heaping spoonful of the dressing to cook eggs and/or potatoes. 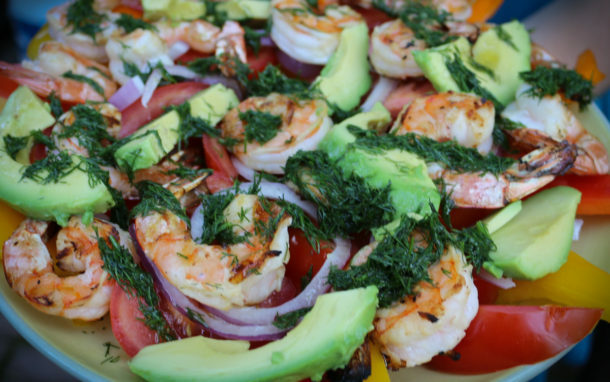 The protein that is in the shrimp makes this salad a complete meal, but I like to have other grilled delicacies with it. It goes wonderfully with grilled Portobello mushrooms, Grilled Swordfish with Lemon Parsley Topping (if you are looking for a seafood theme) or Greek Lamb, Tomato and Onion Kebabs (if you are looking for a surf and turf theme). This also pairs nicely with Orange Lemon Potatoes or a Mediterranean Fried Potato, Tomato and Arugula Salad (if you are looking for multiple salads). Dill Butter and Olive Oil Blend (for brushing on corn and other vegetables while grilling). Add the marinade to the shrimp in a bowl or Ziploc bag. Stir or shake well and let the shrimp marinate for at least half an hour (up to 2 hours) in the refrigerator. Prepare the salad dressing by adding the dressing ingredients to a jar and shaking. Prepare the salad in a colorful salad bowl. Grill the shrimp on a medium hot grill. Cook on both sides to desired taste (I usually grill a few minutes on each side). Try not to flip the shrimp too many times. Top the salad with grilled shrimp and pour on dressing. Serve immediately.